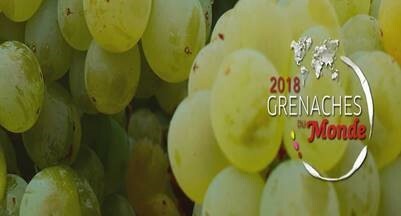 Every year since 2013, a unique occasion for celebrating Garnacha/Grenache wines from all over the world takes place: this is Grenaches du Monde, an exciting competition where more than 100 professional judges a wide selection of the grape from diverse geographical indications. The event, born and coordinated by the CIVR (Interprofessional Council of Wines from Roussillon) takes place each year in appellations focused on Garnacha/Grenache variety. After Perpignan (France), Campo de Borja (Spain) and Sardinia (Italy), this year, it is the turn of PDO Terra Alta (Catalonia, Spain) where Grenache Blanc reigns at one of the most promising Mediterranean growing regions of this exceptional grape. The land of Garnacha Blanca will receive participants from April the 12th until the closing ceremony, on April 14. The rising numbers from past editions expect more than 800 samples from France, Spain, Italy, South Africa, Australia, Canada, Republic of Macedonia, Lebanon and Greece, amongst other countries. With more than 5 past editions and 684 wines judged in 2017, Grenaches du Monde has become the annual event to discover and celebrate the Mediterranean quintessential variety: Garnacha (a.k.a.Grenache). Save the date: it’s Garnacha/Grenache’s greatest time of the year! (Registrations and sample sending open until March the 22nd).